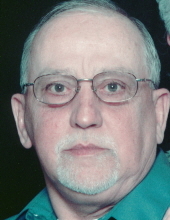 ALEXANDRIA, IN- Ora L. Studebaker, 83, passed away on Saturday, January 19, 2019 in his residence following an extended illness. He was born on January 8, 1936 in Marion to Vern and Lorene (Legg) Studebaker and has lived in Alexandria for the past 62 years. He had worked at the National Gypsum, formerly of Alexandria for 8 years. He retired in 1992 from Delco-Remy after 30 years of employment. Coaching Little League and Babe Ruth baseball was a very important part of Ora’s life. He was also a coach and player for the Alexandria Church of the Nazarene softball team. Ora was a 62 year member of the Alexandria Church of the Nazarene, where he has served in many positions. Services honoring Ora’s life, legacy and faith will take place at 7 pm on Tuesday, January 22, 2019 in the Alexandria Church of the Nazarene, 1401 South Harrison Street with Pastor Mark Diemer officiating. Cremation will follow the services. Friends are invited to call at the Church of the Nazarene on Tuesday after 4 pm prior to the services. Memorial contributions are suggested to the Alexandria Church of the Nazarene with envelopes available the day of the service. Owens Funeral Home is honored to care for Ora and the Studebaker family. To send flowers or a remembrance gift to the family of Ora L. Studebaker, please visit our Tribute Store. "Email Address" would like to share the life celebration of Ora L. Studebaker. Click on the "link" to go to share a favorite memory or leave a condolence message for the family.